What’s your story – your history? I could say that mine began in Alberta where I was born and then I would go on to list all the places I’ve lived, things I’ve done, places I’ve worked, events that have been significant in my life (both good and bad), what I’ve learned from my Mom and Dad and my sons, where I’ve travelled, who has done me wrong and who has inspired me, what I am proud of and what I regret, health challenges faced, whom I’ve loved and whom I’ve lost, my family life, etc. This is all ABOUT me…but who am I really? Who are you really? Fast forward to 2015 in a world that is so complicated, so busy, so in need of connection and so desperate for something more…Maybe our stories have become so complex that we’ve lost ourselves in the details. We identify more with the content of our lives and the idea that we are what we DO; what we have achieved or not achieved; what has been done to us or what we have done to ourselves; what we look like physically; what we have in our possession; what others think of us. 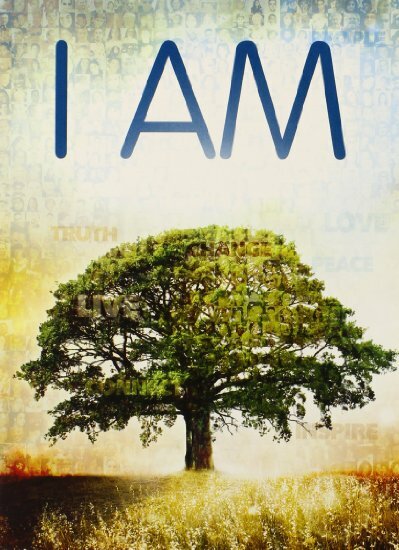 We think we know all about ourselves but again we ask the question – who am I really? How do I know my true Self? Atha yoga anuasanam – Now begins the practice of Yoga. Yogas chitta vritti nirodhah – Yoga is the calming of the thought waves of the mind. Tada drastuh svarupe vasthanam – When the mind is calm, we see our true nature, who we really are. Your story – your history – is still relevant and important in understanding much about who you are and who you are not. Tolle says, “In the seeing of who you are not, the reality of who you are emerges by itself”. Investigate your story but don’t get lost in it, don’t identify with it…go beyond it and uncover your true Self. Beautifully said Anne. Being who you are based on your Life story is often soooo limiting. Being who you really believe yourself to be without that story is the work. Your essence, if you are brave enough to listen to it (because this often means change on many levels) allows you to BE right here, right now, no before no after, only this present loving moment. Again, again and again. Every moment new, every moment present. Yes, Varuna, bravery is required for sure. The “willingness” to go there is necessary for transformation, even if “there” is a challenge in the moment. Yoga is just one of the many paths on the journey to discovering one’s Self. Some of these paths have fundamental differences and others have close parallels and similarities. In my view, if one’s path makes them a more compassionate, kind, loving, and forgiving person who takes responsibility for their actions, then that is the path for them. Thank YOU for being a regular participant in my classes over the years! ANNE STUBBS on Welcome to Spring 2019! Caroline Chapman on Welcome to Spring 2019!